At Calvary Rehabilitation Hospital we offer a high standard of inpatient and outpatient care to the communities of Adelaide and its surrounds, as well as a comprehensive range of additional health services. The Balance and Reconditioning Program is specifically designed to assist you in reducing the risk of falls and improving balance, by using exercises to increase muscle strength, endurance and balance specific training. 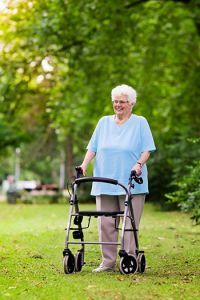 Making changes to lifestyle, behaviours, health issues and home environment are also encouraged to maintain independence and reduce falls risks. The program includes a thorough multidisciplinary assessment including a medical specialist assessment. The Balance and reconditioning program is held over eight weeks, twice a week, for 1.5 hours with an exercise and an education component. Goal setting is also emphasised to ensure improvements are achieved and maintained. The sessions are conducted by a team of health professionals including a medical geriatrician, occupational therapy, physiotherapy, dietetics, psychology and pharmacy. The program is designed for women who are undertaking adjuvant chemotherapy for breast cancer, but is also suitable for other women with breast cancer. Recent research on exercise during cancer treatment suggests that physical activity can help to reduce the severity of some treatment side effects including fatigue, anaemia (low red blood cell count), increased body weight and muscle mass deterioration. There is also emerging evidence that exercise during your chemotherapy treatment can assist with chemotherapy completion rates and potentially improve outcomes in regards to the likelihood of cancer returning. Exercise is now being recognised as a therapeutic strategy to potentially delay the recurrence or growth of your cancer. Studies have shown that exercise improves blood flow to the area of your cancer, improving the delivery of chemotherapy to cancer cells. Exercise can also reduce inflammation within your body that may have a role in driving cancer growth and improve the action of your own immune system to help destroy any remaining cancer cells. The program is supervised by Physiotherapists and consists of an hour of working at moderate to vigorous intensity. This is followed by meditation facilitated by a Clinical Psychologist. Prior to commencing the exercise classes you will undergo an individualised assessment with a Rehabilitation Physician, Physiotherapist and Clinical Psychologist. Achievable goals are established and an individualised exercise program is developed by the Physiotherapist. Our Cardiac team combines best practice to investigate and manage heart and vascular system disorders. The Cardiac Rehabilitation Program, is a secondary prevention program that is designed to optimise healthy behaviours, to limit the physical and emotional impact of cardiac disease, control cardiac symptoms and reduce the risk of further cardiac events. Prior to commencement of the program a comprehensive risk factor assessment is conducted and an individualised exercise program. The program is held over six weeks, twice a week, for two hours encompassing warm-up, aerobic work and aerobic conditioning apparatus. The education sessions are conducted by a team of health professionals including a cardiologist, cardiac nurse, occupational therapy, physiotherapy, dietetics, psychology and pharmacy. A cardiac nurse will be available during the class to answer any health-related questions. Individualised counselling can be organized. 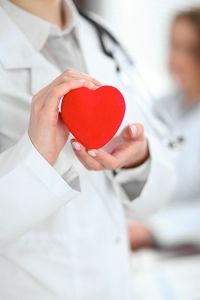 The cardiac nurse will liaise with your general practitioner, cardiologist and other allied health professionals to maximize your health needs. Clinical Psychologists treat emotional distress by providing psychological counselling using specific counselling approaches for various problems or conditions supported by evidence-based practice. Clinical Psychology services also offer the assessment of some aspects of memory, organisational/ planning ability, and perception. The Diabetes Service at Calvary Rehabilitation Hospital provides education to assist patients to make informed lifestyle choices. The service encourages and enables patients with diabetes to take control of their own condition by integrating self-management into their daily lives. Provide support to patients with diabetes by facilitating skills that are patient centred, tailored and relevant to the individual and treatment goals. Strengthen motivation though empowerment assisting the patient to make informed decisions. Strengthen motivation to minimise cardiovascular risk factors, hypertension, hyperglycemia, obesity and dyslipidemia. Encouraging clients to work with their general practitioner to provide self-management options that can help them manage their diabetes by addressing specific risk factors, slowing the progression of their diabetes. The Dietetics Department provides a service to all patients admitted to Calvary Rehabilitation Hospital. On admission, a nutrition screening tool is used by the nursing staff to identify and refer patients who are at risk of malnutrition to the Dietician. Early identification can help us to assist you to optimise your nutritional status and maximise your level of participation in the rehabilitation program. Treatment options can include the provision of nutritional supplements and/or modification to your diet as needed. Information and education will be provided to assist you in maintaining and improving your nutrition during the course of your admission and on discharge. Encourage responsibility for your own health and effective self-monitoring of dietary intake appropriate for your individual needs. A specialist clinic for assessment for return to driving, vehicle modifications and/or safety in continuing to drive due to medical conditions. The Geriatric Assessment Unit is a multidisciplinary service led by Senior Consultant Geriatricians. The Geriatric Assessment Unit aims to provide appropriate clinical treatment in a safe environment while endeavouring to restore the patient’s ability to return to independence with the necessary support structure. The program is funded for patients with private health insurance or if not a member then self funding may be an option. The Neurological Ambulatory program assists people after a stroke or neurosurgery, or those experiencing a functional decline associated with other neurological conditions such as Multiple Sclerosis, Guillain- Barre or Parkinson’s Disease. A Multidisciplinary team with Physiotherapy, Hydrotherapy, Occupational Therapy, Speech Pathology, psychology and Dietetics is available according to need for 1-1 appointments. If suitable eligible patients can attend a circuit exercise group 1.5 hours run jointly with Occupational Therapy and Physiotherapy. The clinic provides a collaborative approach to high-quality preventive health care promotion to people with cardiovascular and diabetes conditions. It aims to improve quality care through providing self-management strategies, counselling, education and support to strengthen motivation and empowerment to optimise health outcomes. Patients attending Calvary Rehabilitation Hospital as an inpatient will receive Occupational Therapy to maximise their level of independence and safety in the completion of activities of daily living including personal, domestic and work or leisure activities. Patients will be taught coping strategies to manage activities of daily living. These may include education on techniques to save energy, self-monitoring, falls prevention, stress management and relaxation and individualised treatment interventions relevant to your condition. Occupational Therapy services are provided within inpatient and outpatient programs. These are delivered in various formats including individual treatment sessions and groups. The Orthopaedic program assists people with a range of orthopedic conditions improve their function, strength and joint range of movement. Some of these conditions include rehabilitation after total hip or knee replacements, fractured neck of femur, shoulder surgery or spinal surgery. Patients are individually assessed by a physiotherapist and a treatment program is designed for them which may include individual or group based physiotherapy and hydrotherapy. Calvary Rehabilitation Hospital provides Physiotherapy services for inpatients and ambulatory program clients. You will receive an individualised treatment program addressing your specific needs. Each program may include one-to-one sessions, small group/circuit classes and/or hydrotherapy. You may be provided with exercises to undertake between therapy sessions and you are encouraged to complete these to aid your recovery. The Pulmonary Rehabilitation Program is designed to assist people with lung conditions to improve quality of life by promoting self-management, reducing breathlessness and improving exercise tolerance. The program consist of an individualised assessment followed by a tailored exercise training program and education held over six weeks, twice a week. The exercise component focuses on increasing your physical function, whilst the education component will assist you in managing your condition, by providing knowledge in such areas as breathing techniques, using your medicines and energy conservation. The sessions are conducted by a team of health professionals including a specialist nurse, occupational therapy, physiotherapy, general physician, dietetics, psychology and pharmacy. The Reconditioning Oncology program assists people undergoing treatment for cancer to improve their functional ability and quality of life through a program of exercise, education, social support and meditation. The services enables an individual therapy needs to be met in the one location in a goal-directed, highly efficient and well co-ordinated manner. This program is held over eight weeks, twice a week, for two hours with both an exercise and education or meditation component. The sessions are conducted by a team of health professionals including occupational therapy, nursing, physiotherapy, medical dietetics, psychology and pharmacy. The physiotherapist will assist to co-ordinate your program and help with setting achievable goals. Assessment occurs promptly after the patient is referred to the Speech Pathologist. The frequency of therapy is determined following assessment. Daily therapy is available, if required. Education and support is provided to close family members throughout the treatment process. Therapy sessions take place in the patient’s room or the Speech Pathology office and exercises may be left for the patient to complete between sessions. Interpreter services are available when required. If you have a planned admission to Calvary Rehabilitation Hospital you will have the opportunity to describe your disability and appropriate arrangements can be included in your admission process. At Calvary Rehabilitation Hospital we offer compassionate emotional support and spiritual care for you, your family and friends. Our Pastoral Care Service acknowledges your beliefs, important relationships and all that is meaningful for you. It affirms your intrinsic value as a person. The pharmacy, Hospital Pharmacy Services (HPS) is situated off site and will bill you directly for all discharge and non-admission related medications. You may be required to pay the bill first and claim the amount from your health fund.